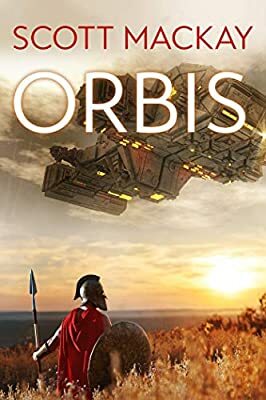 Description: Award-winning author Scott Mackay delivers an “intriguing alternate history” of conquest, rebellion and the destiny of humanity… (Booklist). Two thousand years ago, as the Roman Empire beat back the rise of Christianity, the saviors of mankind arrived. And they weren’t Jesus of Nazareth or his Disciples. They appeared as heavenly beings on a mission of hope, convincing the people of Earth to accept their kindly dominion by hi-jacking the insurgent Christian Movement and turning it into an instrument of control. When the mighty Roman Empire refused to bow down, it was destroyed. Ever since, the Benefactors have guided and led, and humankind has followed and prospered, but at a price. With this “riveting drama,” Scott Mackay once again proves himself a writer of rare talent and captivating imagination in the realm of science fiction (Locus).